"I personally wanted to thank you and your team for the sunflower oil mill equipment. The Shreeji team have a thorough understanding of the plant process and met our demands on time with great quality." "I appreciated the efficiency with which you work and for the timely delivery of our Oil Extraction Unit." "We have always had a good quality from Shreeji, both in respect to our Oil Mill Plant and also Spare parts." 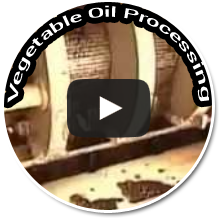 "Your new technology Machinery in oil pressing is taking us ahead in our industry with Quality product"
"We are extremely satisfied with Quality of machines, erection & commissioning of the sunflower oil plant as per drawings"